Wedding season is still going strong at Pinstripes and Peonies HQ, as it has been throughout all of August. 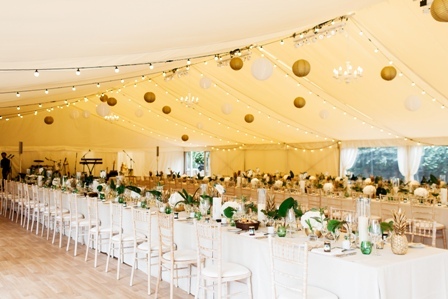 A stand out recent example came when the team were thrilled to have been the chosen supplier at one of London’s most prestige and coveted wedding venues, Chiswick House. The oh-so-lovely bride and groom had a mixed and vibrant background that they wanted symbolised in their wedding floristry. Cue an English/ Australian/ Malaysian/ Singapore flower design! 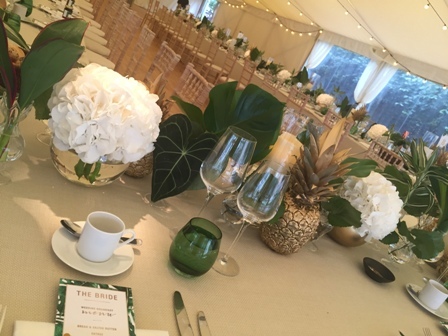 To represent a soft and whimsical English garden, we had fluffy domes of white and green hydrangea. For Singapore and Malaysia, we included an assortment of luscious, richly green tropical foliage in assorted antique bud vases. 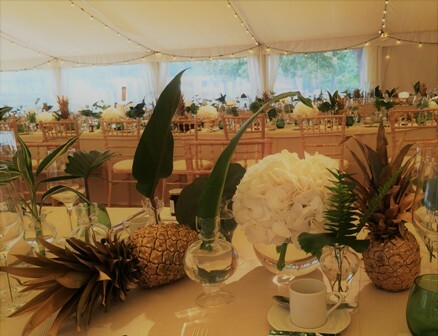 And finally, at our bride’s request, to remind her of her back garden in Australia’s Sunshine Coast… pineapples! These were no regular pineapples however, these were P&P shimmering, gold painted pineapples. (Please read that last sentence in a sultry M&S advert voice, it is obligatory and sounds so much better). Feedback from our happy couple was that we’d nailed their brief and they felt like they’d been transported back home(s). So now it’s got us wondering what other heritages and traditions that we can challenge ourselves with combining. For any Scottish/ Japanese/ Ghanaian/ Mexican couples out there with upcoming weddings – you know where we are.